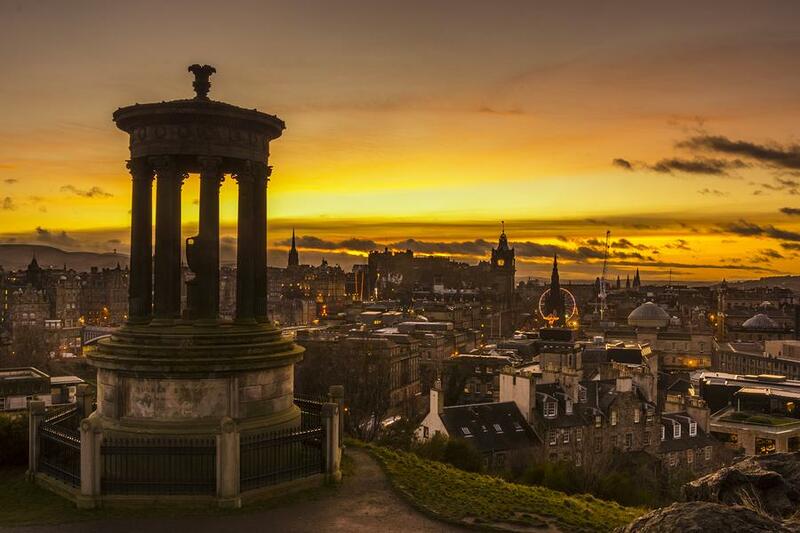 A land of dramatic landscapes, history and legends, Scotland is home to a fantastic range of historic and natural attractions. Located in the Shetland Islands, the Broch of Mousa is one of the country’s most prestigious and well-preserved stone towers and is an impressive defence structure said to date back to 100 BC. It is the only broch in Scotland that is fully complete including its original intramural stair. Located in Roxburghshire in the Southern Uplands, Melrose Abbey is a grand ruin that is all that remains of the lavish masonic structure founded by Cistercian monks in 1136 upon request of King David I. Said to hold the embalmed heart of Robert the Bruce, a former king of Scotland, this historically significant attraction is truly a place of legends. One of Europe’s best-preserved Stone Age villages, Skara Brae is a popular attraction on the main island of Orkney and is older than the Great Pyramids and Stonehenge. Located atop the vertical mass of rocks that is Castle Hill, Stirling Castle is one of Scotland’s most spectacular castles and offers an insight into the art, status and culture of 16th century Scotland. Situated in the Outer Hebrides on South Harris’ west coast, Luskentyre Beach has been voted the best beach in Britain and is one of Scotland’s most colour-washed coastal areas, boasting turquoise waters and creamy sand contrasted against the vibrant green hillsides. 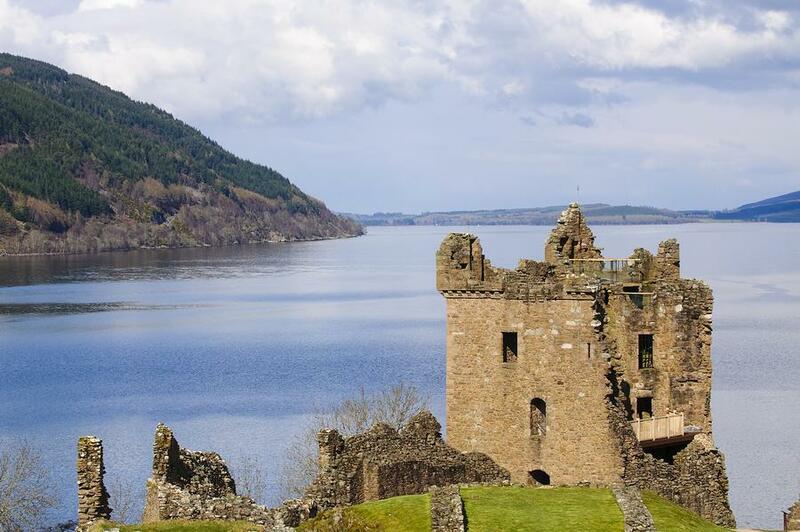 Perhaps one of the most famous attractions in all of Scotland, the 37m deep freshwater loch is Scotland’s second largest loch (second only to Loch Lomond) and is said to be the home of the mysterious Loch Ness Monster. 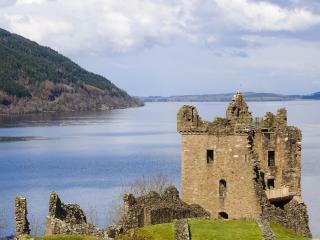 Affectionately known as ‘Nessie’, this legendary creature has been the intrigue of Scotland for centuries. 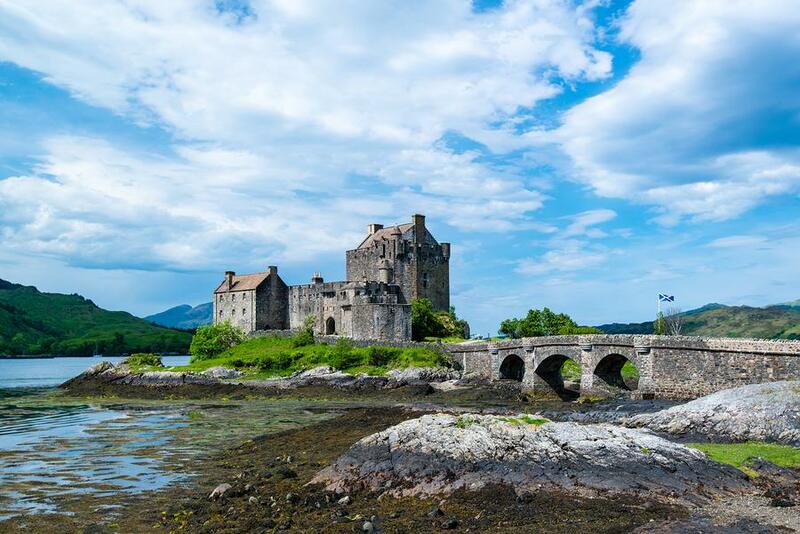 Located in the western Highlands, Eilean Donan is a small island of Loch Duich and is a popular attraction dominated by the famous medieval castle. 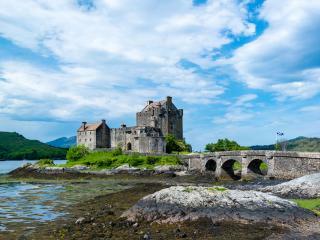 Connected to the mainland by a footbridge, Eilean Donan Castle is one of Scotland’s most photographed monuments and has appeared in a number of Hollywood films including James Bond’s The World Is Not Enough and Highlander. No visit to Scotland would be complete without a visit to Edinburgh Castle. Situated on the summit of a dormant volcano, the castle offers the best example of traditional Scottish architecture and ideology. 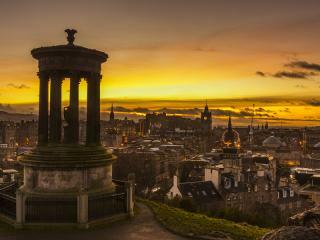 The Scottish cities of Glasgow and Inverness also contain a long list of must see attractions.